In a foundry, raw materials may account for more than 50% of the production cost, more than 80% of the cost for low alloy steel and more than 90% of the cost for a high alloyed or non-ferrous slab, bloom, billet or ingot. Making the most of your raw materials involves working with complex models, relationships and large amounts of data. Headquartered in Stockholm, Kobolde supports its customers throughout the world using cloud-based technologies combined with on-site visits and local partners. Our personnel has a solid engineering background in either Metallurgy, Physics, Chemistry or Computer Science, all to an MSc or PhD level. The effort involved in introducing the changes we propose is by no means a small undertaking. Should you decide to embark on this journey, Kobolde is prepared to partner with you, ensuring a swift implementation of operational changes and at least the corresponding 1% saving in production costs. In many ways, an organisation resembles an orchestra, striving to make all resources work in unison, much like a conductor leading an orchestra. It is our opinion that in the complex business of process metallurgy, adopting the same models, tools and practices as well as sharing findings and experience allows valuable knowledge to benefit other sections of the organisation. 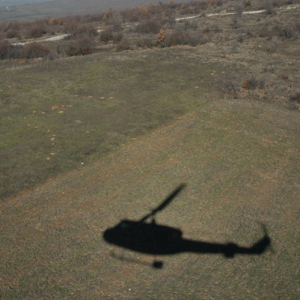 Let us explain our vision, from the importance of getting a helicopter view of operations, to working in teams with optimised tools and methods, and finally making sustainability become a key to profitability. 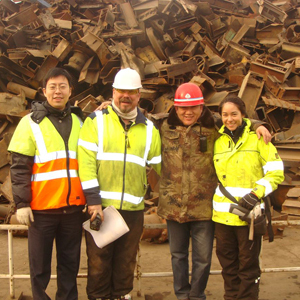 The middle bullet depicts a team consisting of members representing a Chinese and a Swedish University, a Chinese scrap company and Kobolde in a joint Sino-Swedish project on scrap quality in 2012. Why does raw material management concern the entire company? Most projects aimed at improving raw material management can in some way benefit from each section and member of the company contributing to the stated goals. This starts in the scrap yard receiving material, through to the rolling mill sorting the internal scrap according to grade, and includes most of the workforce, from the individual craftsperson to the CEO. If you want to make greater strides in your raw material optimisation and management, as well as lowering your costs, we have the tools, proven methods and experience to make this happen. We are able to accommodate the needs of companies of all sizes, providing you with a combination of skills and support tailored to your specific needs and requirements regardless of the scope of the project - be it a short pre-study or a series of change projects spanning several years. 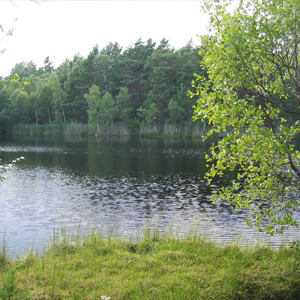 There was a time when any environmental effort was seen merely as an added cost. Today environmental performance is an important product property and resource, conservation having become synonymous with cost-savings. Sustainability is now considered an integral part of any well-functioning raw material management system.